If your cat has acute diarrhea, a bland diet will help them return to normal. In most cases, chronic diarrhea necessitates a dietary change. Like diarrhea in any other species, your cat’s diarrhea might be a symptom of serious illness or could be a short-lived reaction to a new food. The cause of your cat’s diarrhea informs the appropriate dietary response. Before we review the top 5 best cat foods for diarrhea, let’s examine the differences between feeding a cat with acute diarrhea and one with chronically loose stool. Acute diarrhea is a temporary reaction to GI irritants. Acute diarrhea happens when your cat drinks a saucer of milk, has a bad reaction to something they ate, or is dealing with an infection. If your cat looks and acts sick, you’ll want to take them to the veterinarian. If they’re bright-eyed and playful, a day or two of diarrhea isn’t cause for concern. Remember that diarrhea alone can be life-threatening for sensitive populations. If your cat is a particularly fragile kitten, elderly, or infirm, diarrhea may necessitate a vet visit. These cats are at a high risk for dehydration and a bout of diarrhea could wipe them out. If your cat has acute diarrhea due to illness or eating something they shouldn’t have, you don’t necessarily need to change their diet. After their stool returns to normal, you may return your cat to their familiar food. Here’s what to do in the meantime. Give your cat 12 hours without food to give their digestive tract a break. Diarrhea impedes nutrient absorption, so don’t fear that you’re depriving them. After 12 hours of fasting, switch to a bland diet. The classic protocol is a regimen of cooked chicken and rice, but there’s no need for rice. Cats are obligate carnivores and do best on a meat diet, regardless of their stool consistency. A diet of salt-free boiled and defatted chicken, pork, or turkey meat with broth will temporarily nourish your cat without aggravating their GI tract. Remember that this bland diet isn’t nutritionally complete and isn’t safe for feeding your cat for more than a couple of days. The gut microbiome can be considered an organ of its own. It plays a key role in digestion, the immune system, aging, inflammation, and almost every aspect of health. Probiotics help to fortify the natural gut flora and restore healthy intestinal function. Click here for our list of the best probiotics for cats. Consider using slippery elm bark. This bark has multiple benefits for cats with diarrhea. It soothes pain, eases nausea, and can normalize stool consistency. Click here to learn how to prepare a slippery elm bark treatment for your cat. You may also supplement with pumpkin. While it’s a lightweight compared to slippery elm bark, pumpkin is a classic food additive for cats suffering from diarrhea. Many people swear by it. It’s a palatable, easy-to-find source of soluble fiber, which can help to bulk up your cat’s stool. Choose canned pumpkin puree with no added spices or sweeteners. Chronic diarrhea continues for weeks or more and may manifest as part of an issue generally referred to as a “sensitive stomach”. Chronic diarrhea occurs intermittently or consistently for more than 3 weeks. This condition could stem from allergies, food intolerances, or inflammatory bowel disease. 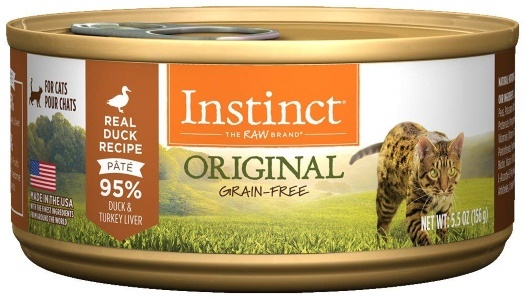 Click here for our list of the best cat food for IBD. If your cat has chronic diarrhea, a trip to the veterinarian is a good idea. The vet can run diagnostic tests to determine the cause of your cat’s endless loose stool. Diet change is necessary in almost every case of chronic diarrhea. 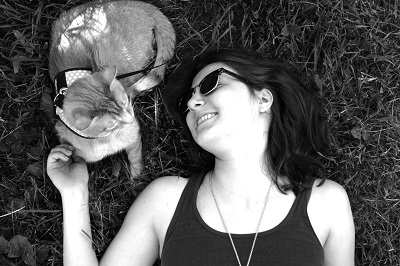 Identify allergens and sensitivities by putting your cat on an elimination diet. 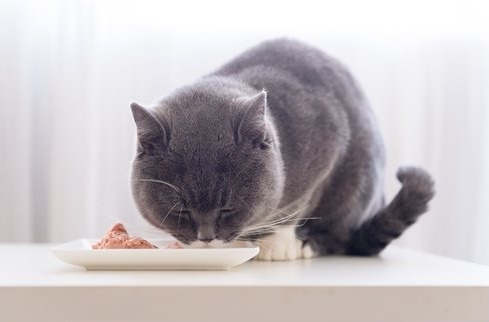 This stripped-down diet eliminates those familiar ingredients that may have triggered your cat’s diarrhea and replaces them with novel proteins. If your cat’s diarrhea vanishes while on the elimination diet, you can re-incorporate ingredients one-by-one to determine which one caused the symptoms. Minimize inflammation by giving your cat a species-appropriate diet centering around fresh muscle meat and organs. Ingredients that aren’t species-appropriate aren’t efficiently utilized by your cat’s body. 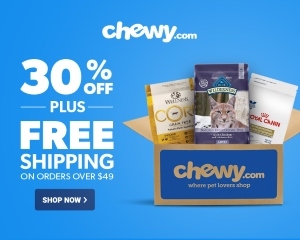 By providing a high-quality, meat-based cat food with minimal carbohydrates, plant protein, and irritating additives, you lessen the burden on your cat’s GI tract. Minimize dysbiosis by fortifying your cat’s gut microbiome. Gut dysbiosis—an imbalance of good and bad microorganisms in the gut microbiome—is a major factor in chronic diarrhea. To manage your cat’s diarrhea, fortify those “good” populations by administering probiotics. While most probiotics can help, the S. boulardii strain is the gold standard for cats with diarrhea. This probiotic yeast is impervious to antibiotics and has well-known antidiarrheal properties. Rabbit is a novel protein for most cats and seldom associated with allergic reactions, so it’s a good choice for cats with suspected allergies. In addition, the food contains probiotics, meaning that it can help support the gut microbiome. 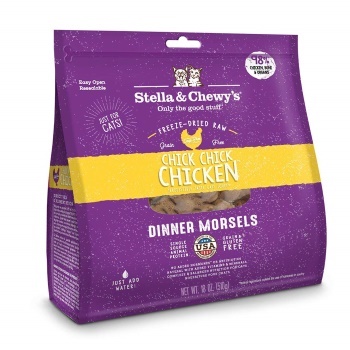 Several reviewers say that this food helped to clear up their cats’ chronic diarrhea. This food takes a few minutes to rehydrate, so it may not be convenient for every schedule. This food has few ingredients, features a single novel protein source, and is easy to digest because it’s made primarily from high-quality fresh meat, organs, and bones. 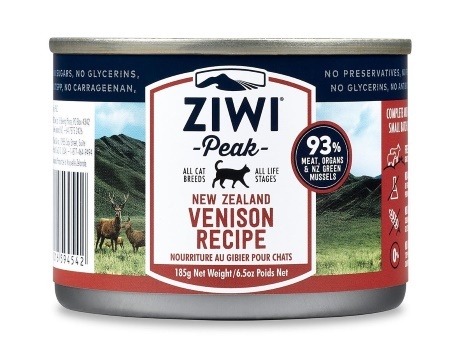 93% of the recipe is fresh venison meat, organs, and bones, so you don’t have to worry about many other ingredients disturbing your cat’s GI tract. It’s worth noting, however, that this recipe does include chickpeas, so it’s not perfect. This limited ingredient diet is the only one on our list containing more than one animal protein source. It’s made with both duck and turkey. Both are good alternatives to chicken, a common cat food allergen. These two protein sources account for 95% of the entire recipe, while the remaining 5% is dedicated to plant ingredients and supplements. Although it’s best to give your cat protein sourced from animals they might kill and eat in the wild, lamb protein offers a diversion from the allergenic chicken, beef, and fish commonly found in cat food. The recipe is 98% meat and organs. This concentration of species-appropriate meat doesn’t leave much room for allergens or other irritating ingredients. 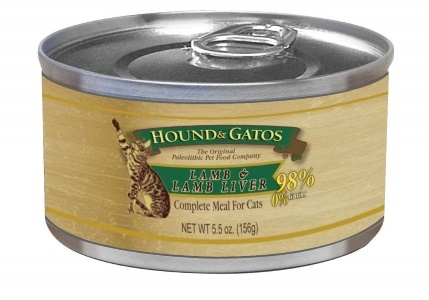 As one of the simplest foods on the market, Hound & Gatos is popular with cats with IBD and digestive issues. Raw food is recommended for cats with IBD and other digestive issues. It provides species-appropriate nutrition in an ultra-digestible format. 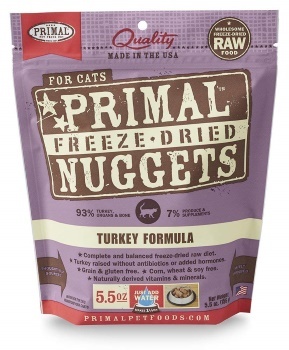 This popular recipe is made with freeze-dried turkey, which is a good alternative poultry for cats with chicken sensitivities. Although 96% of the protein in this food is animal-derived, the recipe isn’t the most meat-heavy on the market. The most troubling inclusion is potato, which provides almost no nourishment and a hefty dose of carbohydrates.